Mediático is delighted to present a Latin American Women’s Filmmaking Manifesto by Deborah Shaw, Reader in Film Studies at the University of Portsmouth. Her research interests include transnational film theory, and Latin American cinema, and she has published widely in these areas. She is the founding co-editor of the Routledge journal Transnational Cinemas, and her books include Contemporary Latin American Cinema: Ten Key Films (Continuum Publishers, 2003), Contemporary Latin American Cinema: Breaking into the Global Market (Rowman & Littlefield 2008) The Three Amigos: The Transnational Filmmaking of Guillermo del Toro, Alejandro González Iñárritu, and Alfonso Cuarón (Manchester University Press, 2013), The Transnational Fantasies of Guillermo del Toro, co-edited with Ann Davies and Dolores Tierney (Palgrave Macmillan, 2014), and Latin American Women Filmmakers: Production, Politics, Poetics, co-edited with Deborah Martin for the World Cinema Series (I.B. Tauris, 2017). In 2017 I.B Tauris published our co-edited book Latin American Women Filmmakers: Production, Politics, Poetics. 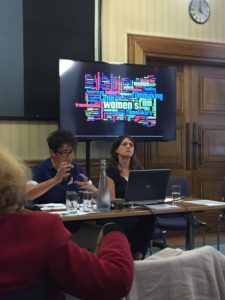 Largely due to fortuitous timing Deborah Martin and I were asked to present a joint keynote lecture and to launch the book for the Latin American Women’s filmmaking conference held at Senate House, University of London in September 2017. 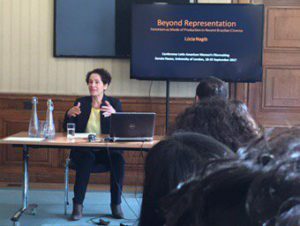 Lúcia Nagib, World Cinema series editor for I.B Tauris also delivered a keynote talk ‘Beyond representation: feminism as a mode of production in Recent Brazilian Cinema’ in which she drew on and added to her insights in her chapter for the book. We conceptualised our edited book in response to two cultural moments in filmmaking in Latin American film and in academia: 1) the growth of women’s filmmaking and 2) the critical response to this filmmaking in a growing and dynamic field. There are too many directors to name in this short essay, but those currently drawing critical attention include Alicia Scherson, Paz Encina, Lucrecia Martel, Lucía Puenzo, Claudia Llosa, Anna Muylaert, Yulene Olaizola, Paz Fábrega, Natalia Almada, Marialy Rivas, Marcela Zamora, Tatiana Huezo, Marcela Said, Julia Solomonoff and Patricia Riggen, many of whom are profiled in a recent article in Remezcla. There are also too many academics working in the area to name, but an increasing number of international books on the subject testifies to the growing interest in women filmmakers in Latin America and Spain. These books will be joined by a new book on emerging female cineastes (Cineastas Emergentes) due for publication in Spain in 2018, and edited by Annette Scholtz and Marta Álvarez. These two moments were also captured by the conference. Indeed, the event organised by Catherine Davies, Isabel Seguí and Niall Geraghty for the Institute for Latin American Studies and the Institute for Modern Languages Research was initially meant to be a day symposium, but, overwhelmed by international interest, the organisers decided to turn the symposium into a 2 day conference. 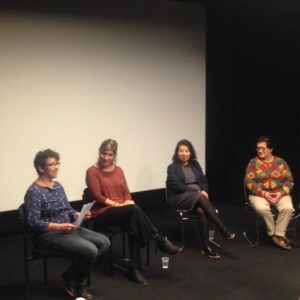 In addition to the academic panels, there were screenings and discussions with important filmmakers: Marita Barea (Perú); Lula Gómez (Spain/Latin America); and Itandehui Jansen (Mexico/The Netherlands). I used my section of the joint keynote delivered with Deborah Martin to reflect on the field and proposed an academic manifesto created to ensure that we have a comprehensive approach in our analysis of women’s filmmaking. It was written with Latin America in mind, but can be adapted to apply beyond this geo-cultural area. 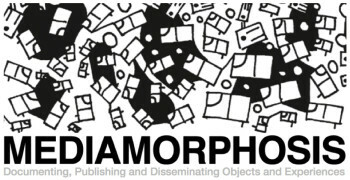 This approach can be placed into the following categories: industrial; historical; theoretical; political; technological, aesthetic, biographical; thematic and representational. Manifestos have long been central to film culture and many of them have been collected in an anthology compiled by Scott MacKenzie, Film Manifestos and Global Cinema Cultures: A Critical Anthology (2014, available online). For MacKenzie manifestos present ‘calls to action for political and aesthetic changes in the cinema and, equally important, the cinema’s role in the world’ (1). An entire section of this wonderful resource is dedicated to manifestos by women filmmakers and reproduces calls to action by American, German, Arab, African, Spanish and British directors. More recently Raising Films, a UK based community and campaigning organisation published an Open Letter to the UK Film Industry on Addressing Harassment and Discrimination that can be read as a manifesto for change. Feminist manifestos, like all others, are ambitious and have a transformative intent: as MacKenzie states, manifestos ‘reimagine the world by calling a new world into being through the act of writing’ (2014, p4). This manifeso also seeks to reimagine a world, that of film scholarship, and while those referenced above have been (predominantly) written by filmmakers, what follows is a manifesto for critics on how to study women’s filmmaking. I certainly do not want to tell women what sort of films they should be making and how they should fight patriarchy, but I want to share a vision of feminist film scholarship. Our role as critics is to be allies of feminist filmmakers (whether female or male and in a multitude of roles); to take their films to our students, to fellow academics, and to a wider, interested public; to help make sense of the worlds filmmakers create; to use any specialist knowledge we have to educate others; to chart trends and patterns, and to hold filmmakers accountable for their visions of the world. This manifesto can serve as a checklist to ensure that we fulfill this role. To raise awareness, promote and critically engage with the work of Latin American and Latina women filmmakers. 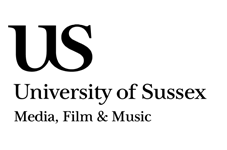 To act as cultural commentators and analyse representations and themes within the film texts and assess what social, national and transnational patterns these are responding to. 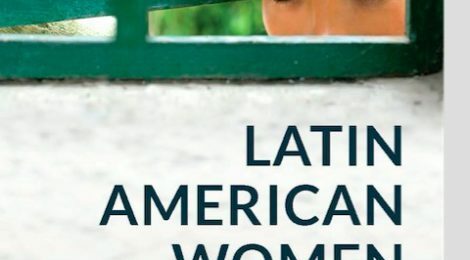 To analyse the work of women in Latin American film industries as directors, but also as other industry professionals – producers, scriptwriters, production designers, costume designers, actors, composers, editors, cinematographers, technicians, and mentors. 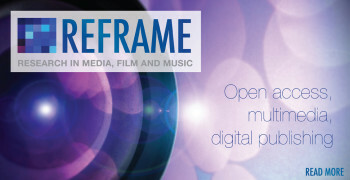 To create better links, contacts, and collaborative events between academics and filmmakers. To forge and map connections and disconnections between (his)stories of women’s filmmaking in a global context. To tell and reveal untold and invisible histories of women behind and in front of the camera. To examine women’s relationship to the industry and assess constraints, difficulties and opportunities faced by women filmmakers. 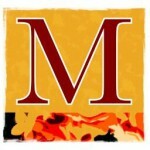 To pay attention to the industrial sectors/genres in which the work is taking place. To account for the transnational funding mechanisms and the role of co-productions and assess the relationship between the funding and the text. 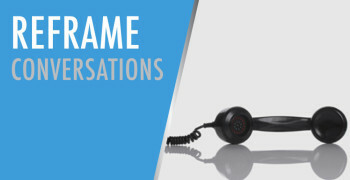 To analyse visual and aural languages applied and dominant and disruptive aesthetic and generic modes. To trace the relationship between macro (institutional) and micro (private familial) contexts to account for the state of women’s filmmaking. To examine influences on women’s production and attempt to establish a cinematic genealogy of women’s filmmaking. 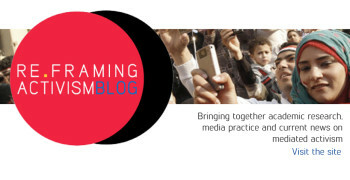 To consider how women’s creativity is enabled (development of film schools; women’s collectives; national and transnational film policies, funding mechanisms; the role of technological developments; and critical promotion). To assess the effects of large social and historical milestones on creating the movements that allow women’s filmmaking to develop. To assess the relationship between women’s filmmaking and socio-political and historical events. To reconsider definitions of the political in Latin American women filmmaking. To assess the role of male allies in the collaborative nature of Latin American women’s filmmaking. To have an inclusive vision of women’s cinema and to consider male directors as feminist filmmakers when they are. To embrace intersectionality and seek to understand how gender intersects with sexuality, class, ethnicity, political discourses, and (trans)nationality. To turn our gazes away from privilege and consider new representations of marginalised communities and non-conformist individuals. To have a comprehensive view of Latin America that includes developing film cultures that have been neglected. To apply, re-apply, appraise, and generate theoretical frameworks within which to analyse film cultures and creative works. To avoid the pitfalls of ghettoization and ensure we do not remain in the margins in academia/or the industry. As I was writing this post, Salma Hayek published her essay ‘Harvey Weinstein is My Monster Too’ in The New York Times. This powerful indictment of Weinstein and the culture surrounding him and his ilk has led to the creation of point 25. To assess how films with female co-creators have been distorted by a misogynistic industry. Much of this work is already being undertaken, and this is really an attempt to map and suggest future directions for an emerging field. Anglophone scholars such as Patricia White, Sophie Mayer, and Alison Butler have done important work in incorporating a transnational approach in their work on women’s cinema. Nonetheless, there is more for us to do to ensure Latin American women’s cinema does not remain confined to Hispanic Studies and takes its place in the pantheon of global filmmakers. Women’s filmmaking is experiencing a positive moment, but it is the role of critics to highlight constraints as well as celebrate achievements. 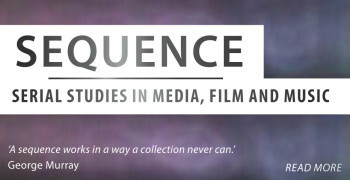 A number of papers at the conference in London revealed that many women directors are working on low budget autobiographical documentaries, and without wanting to diminish the value of the work, and the importance of telling neglected stories, this form predominates because of budgetary constraints and the lack of funds to experiment with more costly genres as Itandehui Jansen pointed out in the roundtable discussion. Our role as feminist scholars is to highlight absences and ensure women’s voices are represented. Despite many advances, the struggle continues as some academics only appear to realise their courses are dominated by male figures when we point this out. We need to keep vigilant and see what is missing as well as what is present. The voices and images of poor, marginalised women filmmakers across Latin America are also lacking in this creative boom due to a lack of opportunities and we also need to have the eyes to see absence as well as highlight presence. I understand women’s filmmaking and its study as political acts. As Sophie Mayer writes in her book Political Animals (2015: 8): ‘Getting to define what is and isn’t political is a position of privilege; feminism, for me, is defined by refuting that privilege, and maintaining an inclusive engagement in transforming the world’. Female academics and filmmakers occupy, to varying degrees, both positions of privilege and marginality. We take up Sophie’s call and build on her ideas by using our privileged positions within academia to work as allies of Latin American women’s filmmakers and champion the political, social and aesthetic value of their work.